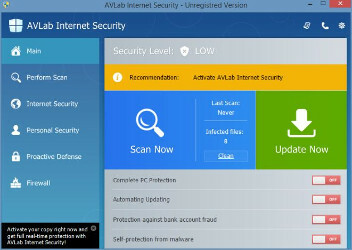 AVLab Internet Security is a rogue antispyware program that reports false infections, displays numerous fake security alerts and blocks legitimate Windows applications from running in order to trick you into purchasing its full version. Do not trust anything that this malware will display you and remove AVLab Internet Security from your system as soon as possible. Read below what you’ll want to know though is what does this malware do and how to remove the rogue from your computer for free. This software is very dangerous computer parasite that simulates a system scan and reports false system security threats or infections to make you think your PC is infected with trojans, spyware, adware, worms and other malicious software. The authors of AVLab Internet Security want to scare you into believing that your device is heavy infected. Next, it will offer to remove all infections it detected. But only after you pays for its full version. Most important to know, AVLab Internet Security is not able to perform any type of security related functions when installed on a computer. The program is absolutely fake! Moreover AVLab Internet Security will always make you think that your computer has lots of security problems. 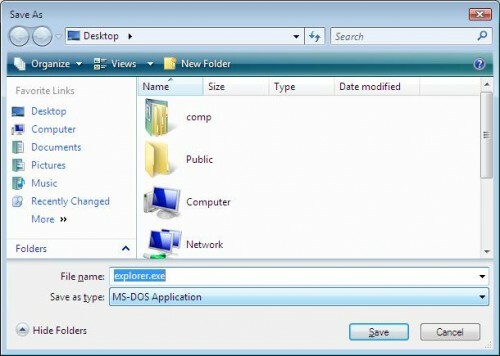 As soon as you logon to Windows, the misleading program will automatically started and you will get numerous security notifications regarding you computer is infected. AVLab Internet Security will use real names of different viruses, worms and infections to make the scam look more realistic. As we have already mentioned, it want to push you to buy a full version of AVLab Internet Security. Remember, all you need is to ignore all that this fake antispyware will display. As you can see, AVLab Internet Security is absolutely useless. Its a dangerous software. The scan results, security warnings and alerts that generated by the rogue are totally fabricated and must by no means be trusted! Follow the guidelines below to get rid of this scareware. The detailed How to remove AVLab Internet Security guide can be followed by anyone as it really does take you step-by-step. Step 2. 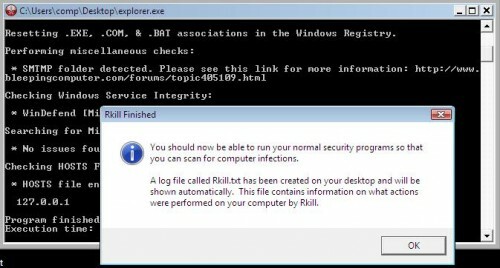 Use RKill to stop AVLab Internet Security processes. Step 3. 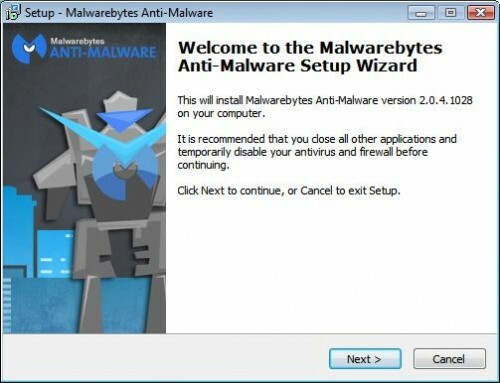 Scan your computer with Malwarebytes Anti-malware to remove all AVLab Internet Security associated malware. 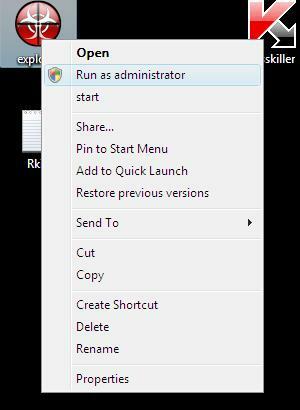 Double-click on the icon on your desktop named mbam-setup.exe. Now click on the Scan Now button to start scanning your computer for AVLab Internet Security associated malware. This procedure can take some time, so please be patient. Your system should now be free of the AVLab Internet Security. If you need help with the instructions, then post your questions in our Spyware Removal forum.